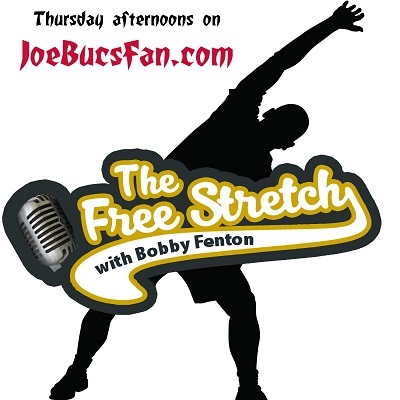 Enjoy it right here on JoeBucsFan.com, iTunes and Google Play (link below). Bobby Fenton and The Free Stretch entertained on radio for years, and now the show is revived and in its second year in podcast form. Bobby likes to say he was a Bucs fan in the womb, and his lifelong passion comes through. And it’s not just Bucs on The Free Stretch. Presented by Bill Currie Ford. New episodes every Tuesday & Thursday on JoeBucsFan.com. Available at JoeBucsFan.com, iTunes, Google Play and Player.FM. 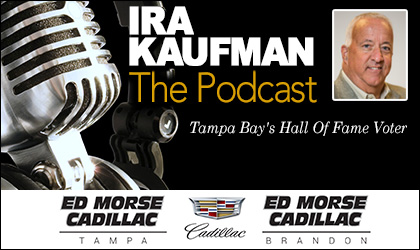 Todd was a longtime host on ESPN Radio, as well as on Tampa Bay sports radio, in addition to many other high-profile gigs. In 2017, Todd weclomed Original Hooters as the new presenters of the podcast, which launched in 2016. 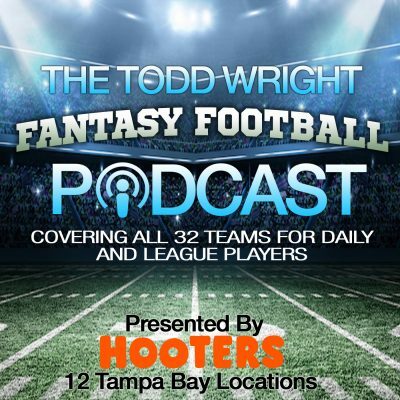 You can also find Todd running the highly successful Todd Wright Tour powered by JoeBucsFan.com/golf. 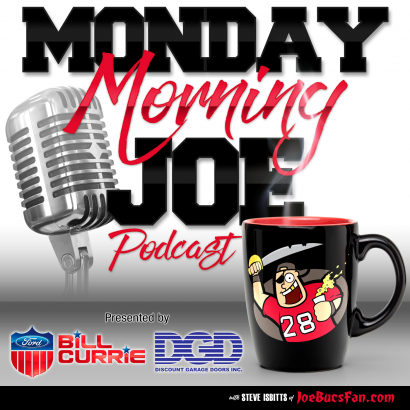 Presented by Discount Garage Doors, Inc. and Bill Currie Ford, the Monday Morning Joe is available here every Monday and at iTunes and Podbean.com and Google Play. Host Steve Isbitts is a founder and writer at JoeBucsFan.com and was heard for years on WDAE-AM 620 and on other local sports radio stations, including the former 98.7 “The Fan” and 820AM “The Team.” Isbitts also was a staff writer/reporter at The Tampa Tribune. FRIDAYS!! 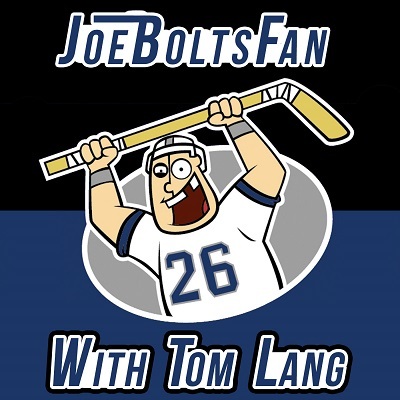 JoeBoltsFan With Tom Lang takes you through the Tampa Bay Lightning season with a weekly podcast. Find it on the JoeBucsFan.com home page and at iTunes, Google Play and other podcast platforms. PRESENTED BY BILL CURRIE FORD. Tom has been a Lightning fan since Day 1 and currently serves as the boss at ESPN Tallahassee. Hosts Jeff Cameron and Tom Lang of ESPN Tallahassee (97.9 FM) deliver hard-hitting Bucs talk every Wednesday. 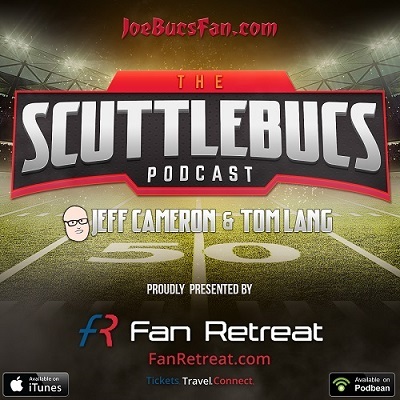 In addition to being Tallahassee sports radio’s dynamic duo, Cameron and Lang are lifelong Buccaneers fans from the Tampa Bay area. The ScuttleBucs are also on Google Play and iTunes. The show rebroadcasts Sundays on ESPN Tallahassee at 11 a.m.. Of course, many of you know Cameron, namesake of “The Jeff Cameron Show.” Joe has been a frequent guest, and Cameron is a friend of Jameis Winston and has interviewed Jameis many times.